Own this updated and well maintained, tri-level home on a quiet cul-de-sac. 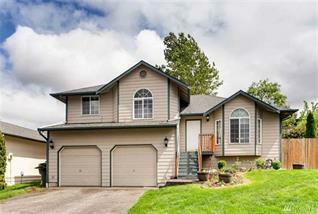 Located in a great community close to amenities. Main level has an open concept living area and access to the rear deck. Upper level features a master suite with walk-in close & private bath. Large lower level has a rec room with 1/2 bath. 2 car attached garage with storage space. NO HOA. Great location & great price. Come see for yourself! Owner phone with held, letter on file. SOLD by John L. Scott, Inc.